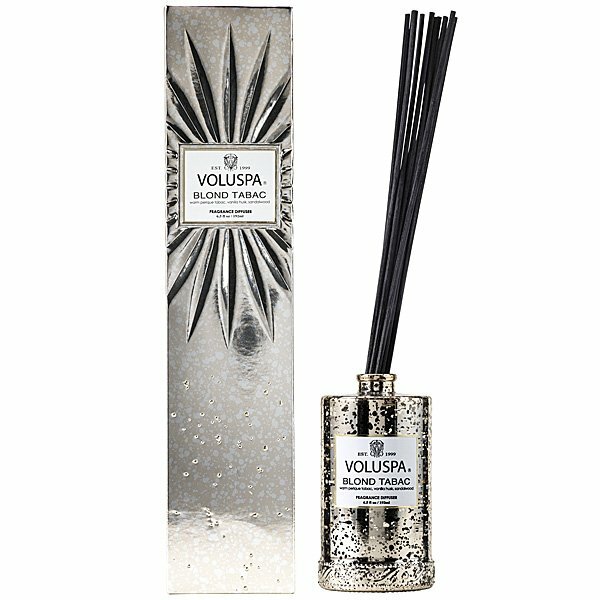 Voluspa Blond Tabac Diffuser is warm perique tabac, vanilla husk and sandalwood melted together to create this luxurious scent. It’s golden glow and seductive sweetness are the essence of elegance. Voluspa Vermeil Diffusers are designed using 18 fine-gauge rattan reeds to increase fragrance distribution and made with no phthalates, parabens, sulfates and are not tested on animals.